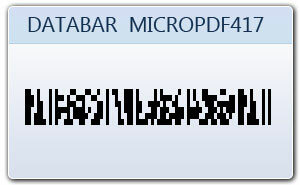 Data bar Micro PDF417 is multi row, two dimensional (2D) barcode symbologies that encodes data up to 150 bytes, 250 alphanumeric characters and 366 numeric digits. 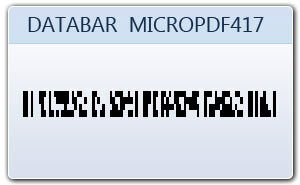 MicroPDF417 barcode is derived from pdf417 barcode. This barcode symbology uses three types of encoding modes which are text, byte and compaction mode. 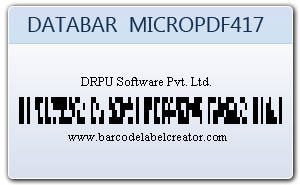 You can easily create Micro PDF 417 barcode labels, stickers and coupons in less time using our barcode generator software. Bar coding system can generate customized bar codes labels of different shapes as per your business industry need.